To know what are the benefits of a hitch mount bike rack, you have to be familiar with what is a hitch mount bike rack first! A hitch mount bike rack is a special sort of rack or rail in which, a bicycle can be put to carry for a long long distance through vehicle. Hitch mount rack are readily available in the market nowadays and can be very useful to carry portable bikes mounting on vehicles. Hitch mount bike racks can be placed both at vehicles front and rear end. But according to your preference and your vehicle driving convenience, its better for you place it on your own because its placement isn’t that much hard. Hitch mount bike racks can be of different types according to your vehicles jointing point. Some of the racks keep your bikes hanging; some of the racks keep them standing. Therefore, you have to check yourself and choose which one shall be better for both your vehicle and your bike. Hitch mount bike racks are the best for your bikes because you can easily mount your bike in it. You won’t encounter too much hassle in mounting the bike on a hitch mount bike rack which is sometimes terrible in roof mounted bike racks. All you need to do is to pull up the bike, keep it on the grooves, bond the straps and tighten the bike; that’s it. The quantity of bikes you can mount will always be higher that any other typed bike racks for your vehicle. Through a hitch mount bike racks, you can transport up to 7 bikes according to the size of your vehicle and bike rack. Wheel mount bike racks: through this sort of bike racks, you can easily put bikes on your vehicles. The main advantage in this type is that you won’t encounter any sort of noise and problem regarding vibration during vehicle driving. But the number of bikes you can carry shall be reduced compared to many other hitch mount rack types. V shaped bike racks: As the notation implies, you have to keep 2 or more bikes in V shape. Though this sort of bike racks is very easy to use but disadvantages are that- bikes aren’t placed individually but congested. They can scratch each other. For long distance travelling, this sort of bike rack isn’t suitable. Swing away bike racks: in all the hitch mount bike racks, you’ll find swing away bike racks to be the easiest to use. All you need is to put a grabber arm on the bike frame and then pull the strap keeping the bike hanging ultimately. A good number of bikes can be set to hang but the main problem is that; bikes may get tampered and harmed while accelerating and braking of the vehicle. All the bikes are kept lose and hanging and that’s why it gets tempered and the beauty might get damaged. Those who are not really careful about their bikes can easily use this sort of bike rack. Parallelogram bike racks: such bike racks are kept parallel to the vehicle and can be kept under eye contact through mirrors. You can easily move the position of all your bikes so that you can keep an eye on them during driving. This is beneficial for extra safety of the bikes. Ultimately, to know what are the benefits of a hitch mount bike rack, you have to be careful at both the bike and the rack so that you can place each and every corner perfectly. But before that, you need to make sure that you’ve brought all the pins, screws, hinges and clips with you. Otherwise, you won’t be able to mount your bike. Hitch mount bike racks are the easiest among all. You need to make sure that you’ve got all the things with you. Then you just put the bike on the rack, tighten all the straps and locks and see if it is loose or not. That’s mainly the way to mount the bike on a rack. If you need to do the same on a roof mounted bike rack for your vehicle, you may need another person for your help. Roof mounted bike racks aren’t easy to make that of use because you will need to put your bike on the roof which you cannot do alone sometimes. You have to climb up yourself and hinge the bike tightly because it will be out of your sight always. You have to keep an eye manually by seeing after intervals. Speeding your vehicles might cause problems; therefore you have to check intermittently by stopping your vehicle. Ultimately it creates a lot of tension and anxiety if the bike is travelling easily or not. Bikes are always a thing of joy and need. To move here and there for quick works, you can use bikes. Also you can use your bikes when you are in need of security. Hitch mount bikes racks are best for on spot security if you have lock and key access. Roof mounted bike racks are very tough to operate although they are suitable for long distance travelling. Ultimately, hitch mount bike racks are the best convenient for boys and girls who are used with frequent bike riding. They can easily mount the bike and lock it and then unlock whenever needed. 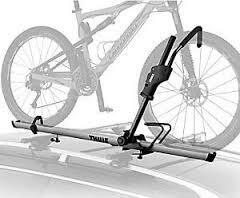 But to do so, every user must get acquainted with what are the benefits of a hitch mount bike rack promptly.